This unique wall clock will add a layer of character to any space, and makes a great gift for any occasion. 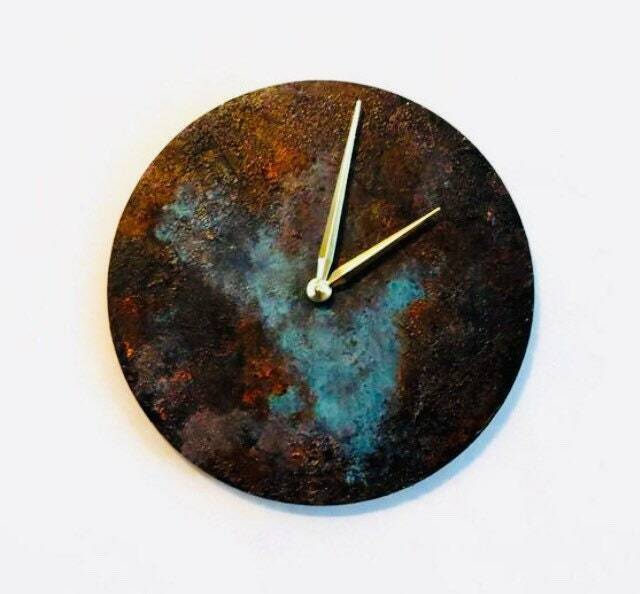 The reclaimed wood base clock is hand painted, creating a faux rust / patina effect. With texture, shine, dimension and color, this analog clock is nothing less than extraordinary. This is Shannybeebo original, and can be customized to fit your personal style. Please send a message my way to discuss options. The clock in the photos sold, but others are available. Each will be unique and slightly different.